The 2nd team of Icklesham Casuals played their final game of the season at home to Parkfield last Saturday, March 16, and ended on a high note with a 5-3 victory and actually scored seven of the eight goals. In difficult windy conditions which made it hard to play any constructive football, it was Parkfield who started off better and took the lead on 13 minutes when the Casuals gifted them a goal. A mix up in the six-yard box between goalkeeper Michael Watson and George Barrow, following a long throw from the left, resulted in Barrow heading the ball into his own net. Icklesham gradually improved and equalised in the 20th minute, when Joe Maylam found Phil Badrock in the area and Badrock’s chip across the box was headed home by Lee Pierce. It took just three minutes for Icklesham to take the lead when Maylam’s run and cross was finished off by Badrock. Further chances were created in the first half with Pierce striking both the left-hand post and the crossbar. The Casuals increased their lead after 52 minutes when Adam Sully’s 25-yard free-kick was fumbled by the Parkfield keeper and following up, Pierce knocked the ball home. Sam Garner was brought down in the area on 72 minutes when looking likely to score and Pierce completed his hat-trick from the penalty spot. Parkfield reduced the deficit three minutes later with a neat finish from a narrow angle to the left of the goal but Barrow soon restored the three-goal margin again netting from a tight angle. The scoring was completed in the 82nd minute when a Parkfield free-kick from the right edge of the box unluckily struck the head of Icklesham defender Chris Osunsami and deflected into the roof of the net. It has been a good season for the 2nd team and they look likely to finish in fifth place in Division Four. After losing the opening five league matches of the season the side has lost just two of the next 13 games. 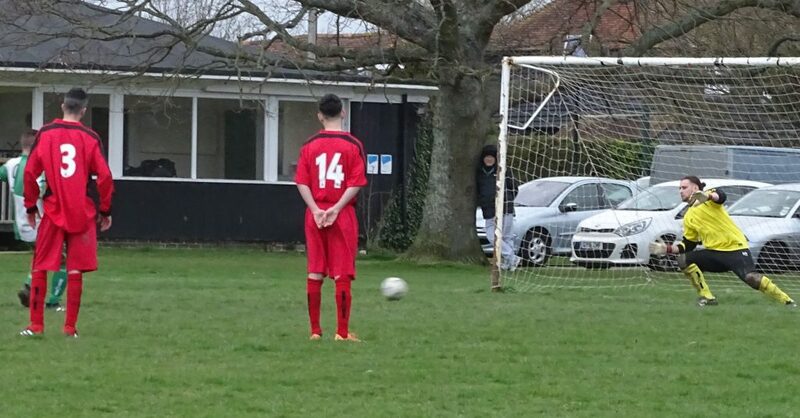 The 1st team disappointingly went down 3-1 away to Hollington United II to suffer their third successive defeat. The side started well and took the lead when Dave Pugh netted from the edge of the box. Hollington came back into the game and equalised to make the score 1-1 at the break. The Casuals started the second half on top and justly felt aggrieved having several penalty claims turned down with two of the incidents being extremely clear cut. 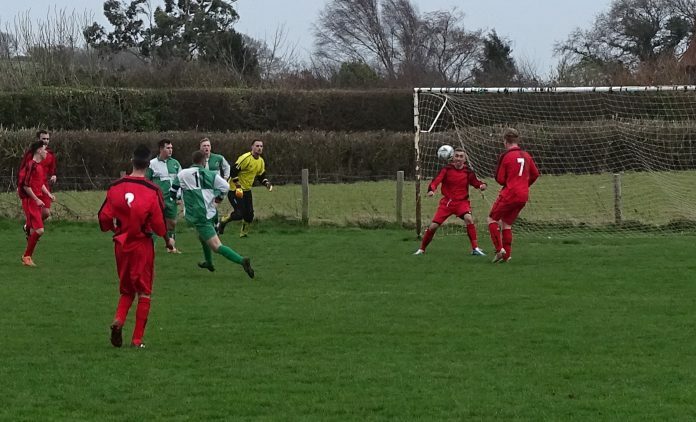 Hollington took advantage of these decisions to net twice for the 3-1 win. Next articleSo what happens now?